MEMPHIS, TN--(Marketwired - Nov 21, 2014) - Propcellar Vintage Rentals has been approved for a $25,000 loan from The Economic Development Growth Engine (EDGE) for Memphis and Shelby County. At its November 5th board meeting, the EDGE Economic Finance Committee board approved Propcellar for receipt of an Inner City Economic Development (ICED) loan, earmarked for façade renovations to help develop the company's showroom warehouse, which officially opened on November 6th. Memphis' ICED program offers small businesses 3-year forgivable loans of up to $25,000 to targeted neighborhoods, for the purpose of contributing towards the costs of exterior building improvements. 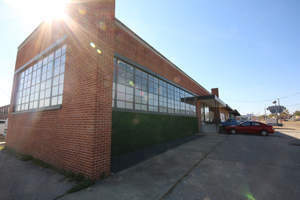 Propcellar's new home at 2585 Summer Avenue is adjacent to the fast-growing Broad Avenue Arts District, and underwent large-scale restoration to transform the 20,000 square foot brick building to current standards and style while protecting its original mid-century roots. 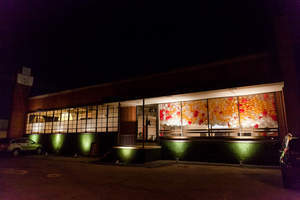 The renovation is being executed by P & J Construction and Collect + Curate, both Memphis-based companies. Karlee Hickman, owner of Propcellar Vintage Rentals and pioneer of her own "Memphis Proud" movement, is a champion for local businesses and says "I'm so happy to be part of the changing landscape of Memphis and of Summer Avenue specifically." While numerous Broad Avenue businesses have received EDGE support, their neighbors on Summer Avenue are just beginning to explore the advantages of the program. Upon meeting Tracy Buckley of EDGE at a Broad Avenue Arts Association Board Meeting, Hickman "instantly knew that Propcellar was a perfect fit for their program." Born in 2013, Propcellar Vintage Rentals is the brainchild of Karlee Hickman, a lifelong collector whose thrill of the hunt has proven to be a profitable endeavor. 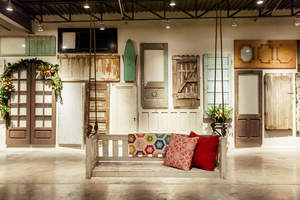 Propcellar's ever-expanding inventory is fueled by Hickman's fascination with all things vintage, and spans from wedding-worthy, elegant furnishings to quirky props for parties, film productions and photo shoots. 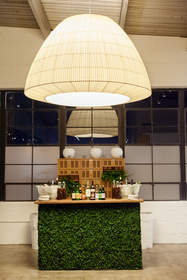 Additionally, the Propcellar showroom warehouse features premium space for all types of events, including weddings, private celebrations and holiday parties. 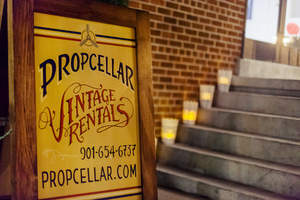 For more information on specialty rentals or holiday parties at the Propcellar Vintage Rentals showroom warehouse, please contact us at 901.654.6737 or hello@propcellar.com. EDGE was created in 2011 to streamline and expand economic and development programs in Memphis and Shelby County. EDGE is committed to helping grow businesses of all sizes through financing, economic gardening, and small business development programs.